For a long time I wanted to write some simple, basic guide for people, which want to start building their bankroll by playing HU SNG, but I quit this idea few times from many reasons – I have no free time, no vein and lack of faith in myself – I thought that I won`t be able to write this kind of guide. SnG HU is definitely my favorite form of poker. I earned some money in HU, but I`m still far away from top players in the world. However the best players didn`t want to write something like that, so I decided to make short cycle of articles about this fascinating game. • Interesting community of HU players – I`m low stakes player and already have contacts on Skype for few quite good players; by playing 1-1 it is easier to meet cool friends (but also case the enemies). At this moment I found just one disadvantage – but it is huge – in easy way you can get huge tilt. I wonder for a long time from where it comes from? I have found the answer with my poker friend – HU SnG is the only one form of poker, in which you can just lose. In cash game you can lost BI, in MTT and SnG you can drop out of game, but roughly and definitively you can lose only in HU, that is why those losses hurts so much. For whom this cycle of articles will be? Certainly not for advanced players. It is mainly aimed for beginning Poker heads up players, but I think that also an intermediate player will find something interesting in here. If you are beginner and just beginning your adventure with HU SnG tournaments – time you spent on reading this article will be for sure profitable. I decided to divide whole subject into several subsections – if you will be interesting about it, then I will try to write next articles. • Basic issues of psychology in HU. Let`s go to the first article. There are millions of situations in poker, you will meet thousands of opponents, thousands of different ideas (often so stupid, that any of poker theory included them), but there is always some pattern of moves in game, which are repeated. There are some key aspects of strategy, which in fact always had and always will be play very important role in every single hand. In this article I want to present you basic issues, which are extremely important in HU tournaments – because of this it will be easier for you to understand the sense of further parts of this article. In my opinion in HU SnG advantages from position is much more important than in other form of poker. Firstly – it is much more marked – you have it or you don`t have it. Secondly – the range of hand that you play in HU SnG makes, that the result is mostly dependent not of cards, but of ability to manipulate your opponent – and advantage of position makes it much more easier. I will show some example hands and I hope that you will understand, why being on button increases our chances for winning so much. 1. Fold – and we often fold a better hand. 2. Reraise – but at this moment he don`t have any information about our opponent`s hand, and it will cost us about 300 chips (1/5 of what we have). 3. Call – which causes that on the Turn we still don`t know what he have and most cards except Ace and second 6 is potentially dangerous for us (every higher card over 6, every hearts, every 2). As you can see, every situation is uncomfortable for us – let`s say that we don`t believe in King and we do a call. We check, because we don`t want to build a pot with third pair, Villain raises to 240 and we folds our hand. 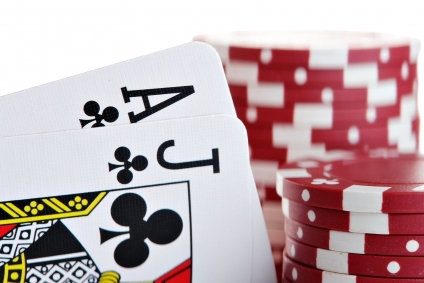 Decision belongs to us – we have very good hand, but Ace on the flop looks pretty bad. Situation just like in previous hand – we make a decision and we don`t know anything about our opponent`s hand. What`s more – our monster turned into a second pair. On the flop we can check or raise. We have good cards, so we raise to 320 chips. It is smaller problem if our opponent will play all-in – without very strong reads we do instafold and waiting for better spot. If we have some information about opponent, that he likes to bluff on ace, we do call and pray about we were right. Suppose however that our opponent make a call. Decision belongs to us. With second pair we don`t want to build a huge pot, especially that call on the flop means that our opponent is not afraid of an ace on the flop. So we do check, getting an all-in from opponent for the rest of his stack, which is 910 chips. We nicely fold our hand and our opponent just to tilt us showing us T9. Now imagine the same situation, but when the diller button is on our side. Villain checks, Hero checks (with third pair we aiming to cheap showdown, especially that we have an option for flush). Villain raises to 190, Hero calls – we don`t want to risk, because there is an option for flush, but our A6 is better that A2 of our opponent and 750 chips goes to us. And the pot is ours. Situation in the cards in these two hands is the same, but because of position game becomes much more comfortable. Of course those two examples are highly exaggerated – in real life it is not always so simple, but you can see that you have a great comfort if you make decisions as a second. Remember – by playing without a position as a first, you are giving information about your hands, so avoid playing speculative hands OOP (Out Of Position). Good player will win with you pretty easy in that kind of situation. I was wondering that is there any sense in talking about odds, outs, etc. – I decided that I will not dwell on it, because it is a subject for other article. There is so much articles about it, that I will not elaborate – but remember, that you must understand this issue before you begin the adventure with HU. You will have very often a dilemma “call/fold” – mostly when you like flop, but you need just one cards to collect perfect hand. Below I show you two examples of hands, which uses a simple mathematical calculation to decide: call/fold/raise. I`m almost sure that we are not better than opponent, however there is 8 cards, which can give us a nuts (9 and4) and that all hearts (without 4 on the table and 9 and 4 – we have them 7) so we together we have 15 outs against just one pair or two pairs. Against two higher cards, for example KQ, KJ – we have also additional 6 outs. Against higher flushdraw we need to remove cards, which will give us a flush. However to simplify this calculation, suppose that we believe our opponent`s in Ace – so for sure he doesn`t have a flushdraw, because Ace hearts is on the flop. So 15 cards gives us a winning hand. For simplicity we can assume, that every card is 4% of chance to draw our hand – so we are certainly a leader against Ax and there is no hand which can dominate us a lot – we are ahead or we have something about coinflip. Dominant hands, the highest draw – rather will fold, because only with flushdraw it will be hard for him to call all-in. In pot there is 480 chips, so it is the pot that will which will satisfy us without a risk, if our opponent will do a fold. So here we play easy all-in, because we know that even though we don`t have a madehand, mathematically it will be EV+. Decision belongs to us, we have to chip in with 1275 chips, to fight about pot 1725 – so to make it profitable we need to be ahead in 75% of the cases. 3. Bluff – we have 10 outs – because in fact we don`t beat any bluff in here, we need to draw at least a pair – let`s say it is about 40%. You can see clearly that this call is not worth their price, because regardless of opponent`s hand, we have maximum 30-40% of chances to win. Article about outs, odds and implied odds would be bigger than this one is, so I just said just what is going on – before you start playing seriously HU you need to learn it good, so treat just merely as encouragement to penetrate it more.